In the second of our weekly series, we turn the focus onto the Godolphin globeterotter who won the Coral-Eclipse in 2016. Races: 24. Wins 10. Champions Series Wins: 1. Prize money: £3,544,995. You would have got long odds against Hawkbill scaling the heights after his inauspicious debut in a 5f maiden at Newbury in the spring of 2015. Equipped in a hood, he was slow away and all in all looked fairly clueless. The chestnut son of Kitten’s Joy trailed home last of the nine finishers, 20 lengths behind the horse who finished eighth. It goes to show that first impressions do not always count. By the time he ran his final race, in Canada in the autumn of 2018, Hawkbill had established himself as a tough and reliable globetrotter at the highest level. The Godolphin-owned colt came of age when landing the Coral-Eclipse at Sandown in 2016 – mastering The Gurkha by half a length in a stirring finish. He was winning his sixth race in succession, having landed the Group 3 Tercentenary Stakes at Royal Ascot only 16 days later. 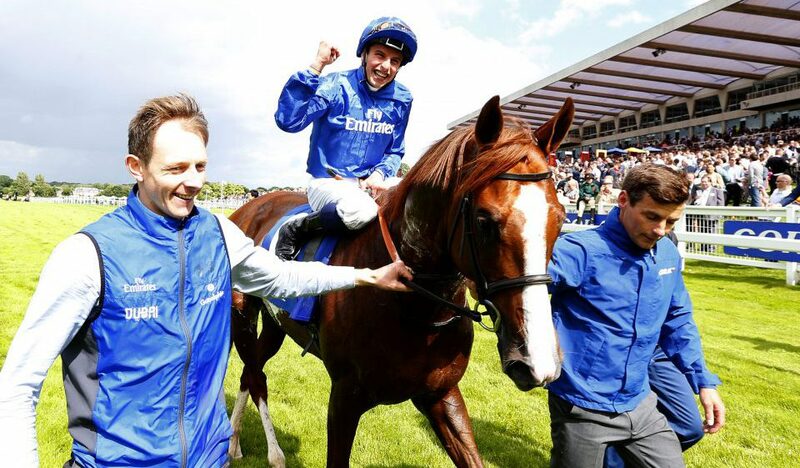 Hawkbill ran in 13 more Group 1 races after Sandown and was impressive when beating Poet’s Word by three lengths in the Longines Dubai Sheema Classic in 2018. He was placed at the highest level on five occasions and, when having his sights lowered, also won in Group 2 and Group 3 company. Hawkbill would invariably get sweaty and edgy before his races, but it rarely seemed to affect his performance. He was versatile regards the ground, distance and tactics. All but one of his wins was achieved under William Buick and racegoers around the world got a look at him. He ran in England, Ireland, France, Germany, Dubai and Canada before the curtain came down. It had to be the Coral-Eclipse in 2016 when, having won his previous five races, Godolphin rolled the dice and supplemented him at a cost of £30,000. Sent off at 6/1, Buick had Hawkbill close to the pace throughout and his mount showed great tenacity when The Gurkha, the favourite, threw down a strong challenge. The in-running betting on Betfair told its own tale – The Gurkha traded at 1-9 while Hawkbill hit 18/1 – but he kept on the stronger to score by half a length. It was extra sweet for Buick, who the following day was to begin a 30-day ban for earlier misdemeanours in France. Hawkbill’s rating jumped from 110 to 122 after his Sandown win. He was never rated higher. “He was a wonderful racehorse who will be remembered for bringing Moulton Paddocks to the international stage. At Darley’s Dalham Hall Stud in Newmarket for a fee of £7,500. The American bred Hawkbill shares the same sire, Kitten’s Joy, and the more exalted Roaring Lion. Godolphin did not care to play with the feline theme when naming him and it is fair to say that, as a young horse, he often looked anything but a pussycat – being a sweaty individual who looked quite a handful in the paddock. Apparently, he behaved in a similar manner at home. Hawkbill had the speed to win over 7f as a juvenile and enough stamina to prevail over 1m4f at the highest level as a five-year-old. He promises to produce sons and daughter capable of winning over a range of distances, even if they might be a little edgy if taking after Dad.